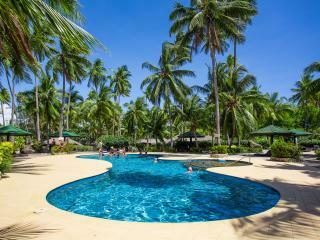 Plantation Island Resort is located on the 553 acre island of Malolo Lailai, just 16 kilometres offshore west of Nadi. 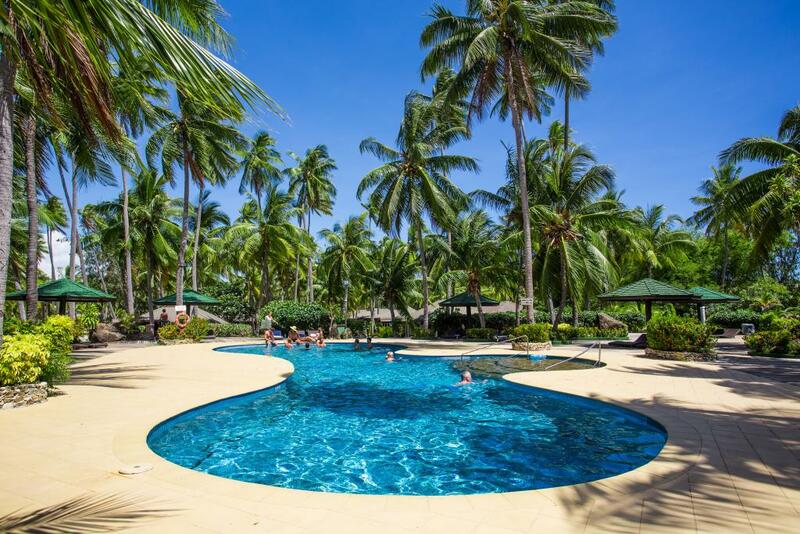 Positioned on a stretch of white sandy beach which fronts the beautiful blue water lagoon, this Fijian Island utilizes 23 acres of tropical landscaped gardens and coconut palms making this the perfect place for total relaxation. 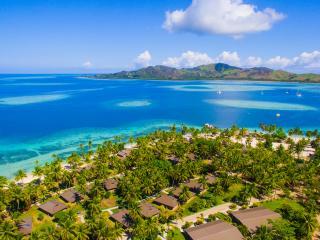 This Fiji accommodation boasts 3 swimming pools and plenty of activities including a 9 hole golf course, cultural and handicraft demonstrations, kids club, teens club, PADI Dive shop and beauty salon. For water enthusiasts, Plantation Island Resort offers complimentary snorkelling, kayaks, windsurfing and hand line fishing. Activities such as scuba diving, surfing, para sailing, water skiing, island hopping and village visits are also available at an additional charge. 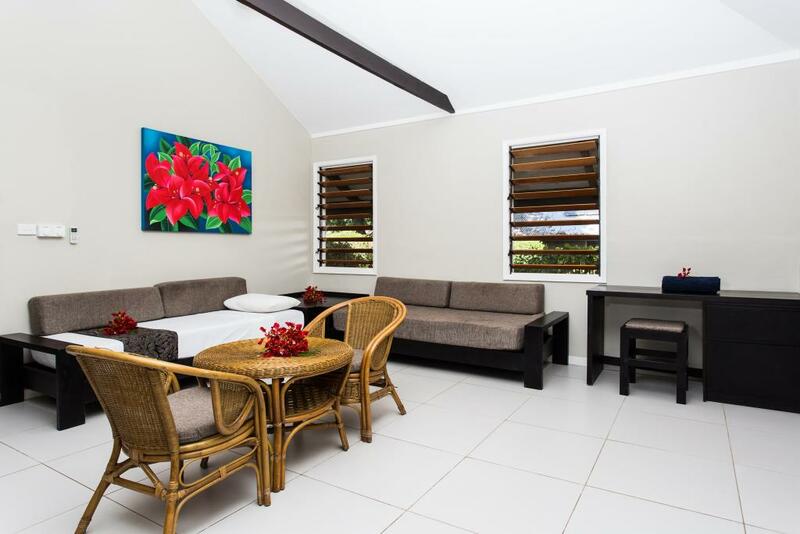 Plantation Island Resort has an extensive choice of accommodation covering all price ranges making the options perfect for a family holiday or romantic getaway. 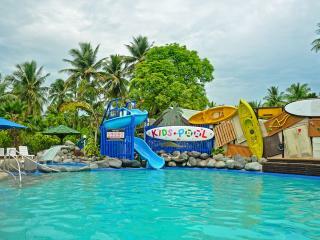 From poolside rooms to traditional Fijian huts known as bures, all accommodation is close to the beach and resort facilities. 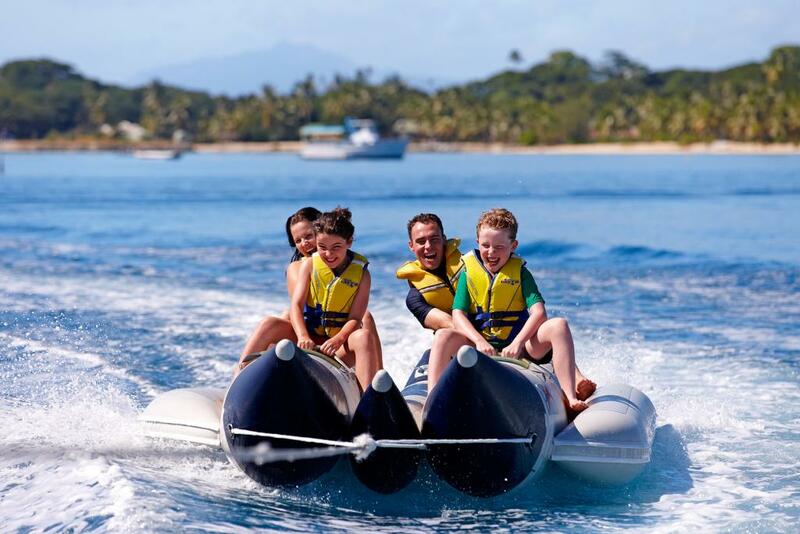 From the very first moment you arrive at Plantation Island Resort, you will experience the warmth and friendliness of the staff making your Fiji holiday a truly memorable experience. 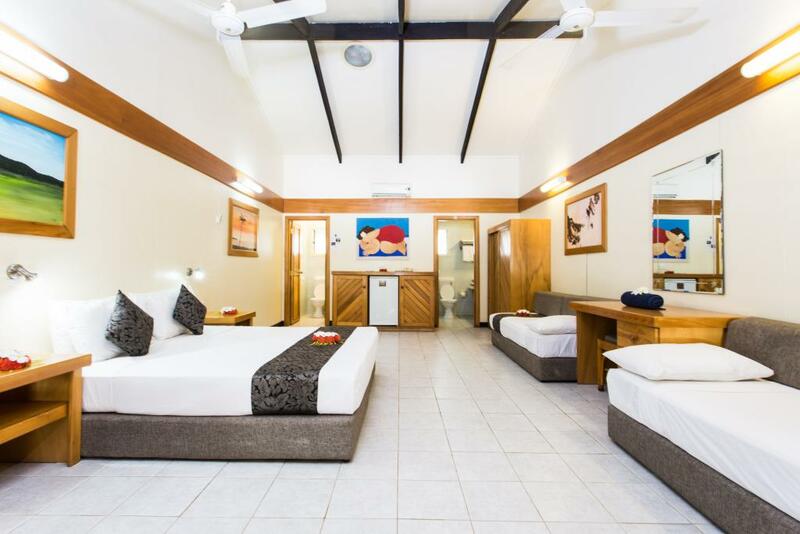 Construction of 40 new hotel style rooms is being built and due to be completed on 20 May 2019. From 21 May to 31 August the final finishing touches will be taking place. All these works are minor internal works and therefore there will be no impact to in house guests at the resort. 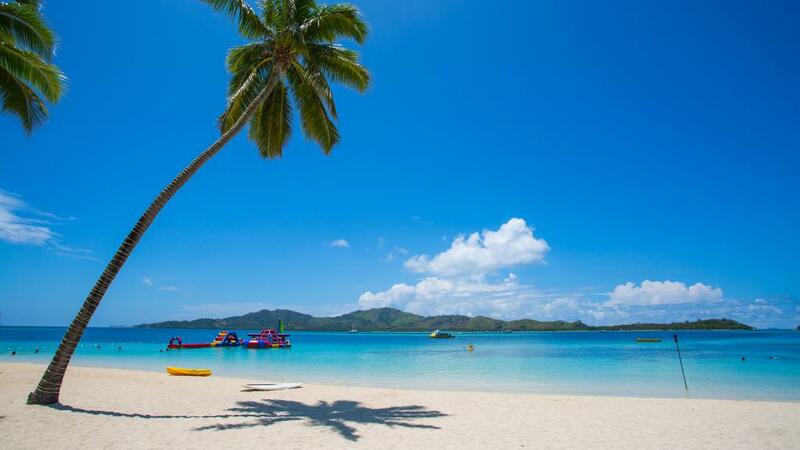 Plantation Island Resort has an extensive choice of accommodation covering all price ranges. 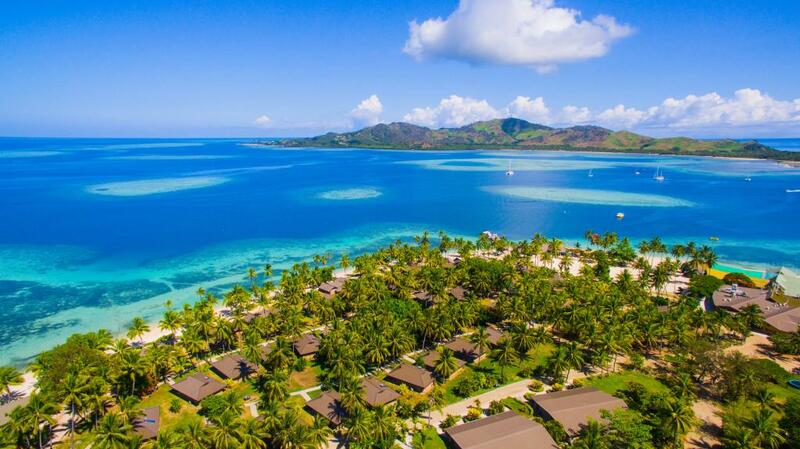 From poolside rooms to lavish traditional Fijian huts known as bures, all accommodation is close to the beach and resort facilities. 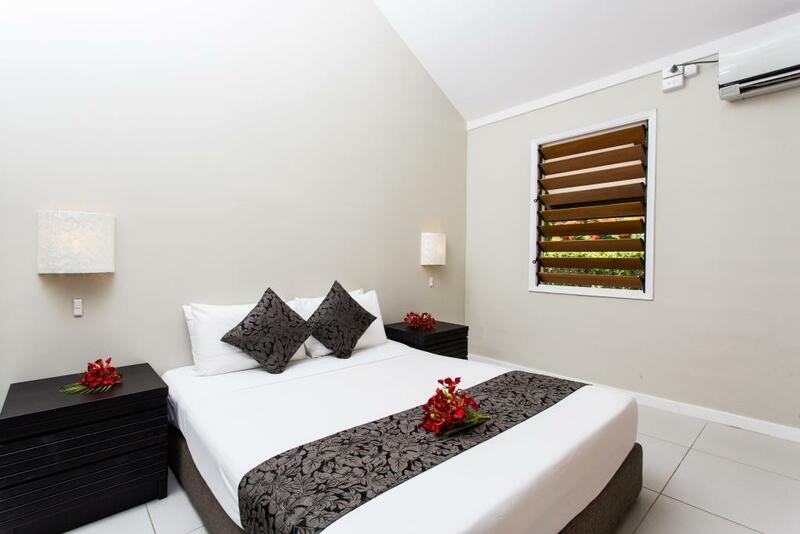 Studio Garden Bure: Features garden views with a modern style. 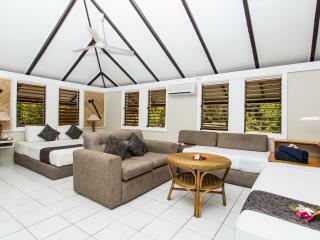 A spacious duplex bure which is surrounded by tropical gardens, within easy access to all resort facilities. Size is 128m². Bedding is 1 Queen Bed + 2 Single Beds. Maximum room capacity is 4 Adults OR 5 Adults & Children. 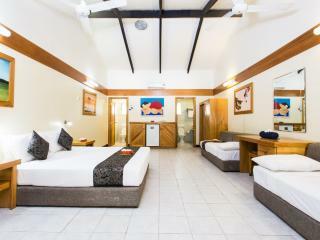 Studio Ocean Bure: These Studio Bures are located along the beach offering ocean views. 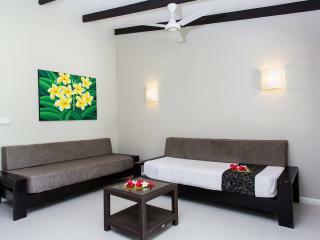 A spacious duplex bure which is within easy access to all resort facilities. Size is 128m². Bedding is 1 Queen Bed + 2 Single Beds. Maximum room capacity is 4 Adults OR 5 Adults & Children. Poolside Room: Features pool views. Size is 172m². Bedding is 1 Queen Bed + 2 Single Beds. Maximum room capacity is 4 Adults OR 5 Adults & Children. Garden Terrace Room: Features garden views. Size is 178m². Bedding is 1 Queen Bed + 2 Single Beds. Maximum room capacity is 4 Adults OR 5 Adults & Children. 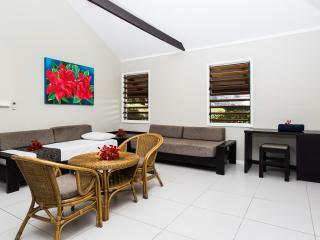 2 Bedroom Garden Bure: Features garden views. Size is 226m². Bedding is 1 Queen Bed + 2 Single Beds. Maximum room capacity is 6 Adults & Children. 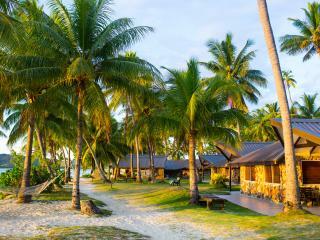 Beachfront Bure: Features a stunning beachfront location. Size is 161m². Bedding is 1 Queen Bed + 2 Single Beds. Maximum room capacity is 4 Adults OR 5 Adults & Children. Ocean View Hotel Room: Located footsteps from the ocean and feature beautiful views of Malolo Lailai Bay from the balcony. This is a good choice room for small families. Size is 37m². Bedding is 1 Queen Bed + 2 Day Beds. No extra beds. 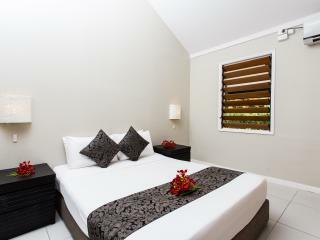 Maximum room capacity is 2 Adults + 2 Children OR 3 Adults + 1 Child. * Valid for travel from 1 September 2019. Plantation Island Resort offers a wide variety of food outlets including a Breakfast Bar, Snack Bar, BBQ Deck and mini mark & supermarket. There are a wide variety of meal plans available for pre purchase prior to staying on Plantation Island. 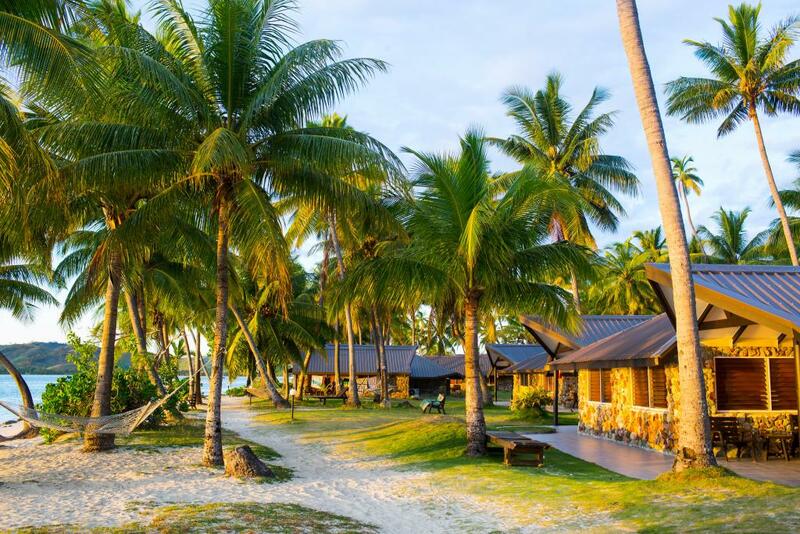 Ol' Copra Shed Restaurant & Brigham Bar: This beachside restaurant is open for breakfast and dinner daily offering buffet style meals in a casual setting. A-la-carte lunch is also available daily . The Ol' Copra Shed restaurant is a great place to dine throughout the day and into the evening with family and friends. During times of high occupancy a Fiji Fusion menu will be available. Snack Bar: Grab a quick snack, sandwich, burger or light meal during the day in a casual and relaxed setting. Black Coral Restaurant & Bar: An a la carte menu is available for breakfast, lunch or dinner. The Black Coral Restaurant may also offer buffet meals during times of high occupancy. Cocohut Espresso & Frappe Bar: Start your morning or grab a pick me up in the afternoon, enjoy fresh juice, coffees, frappes and even fresh coconuts! 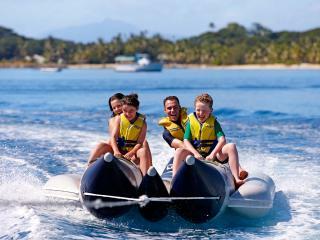 Most non motorised water activities are free of charge. 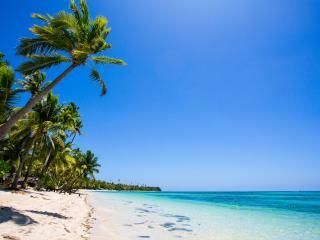 Fiji is a fantastic place for learning how to dive and also has great options for the more advanced divers. Subsurface Fiji offers a wide selection of scuba diving courses including discover scuba diving, open water dive courses and refresher courses. 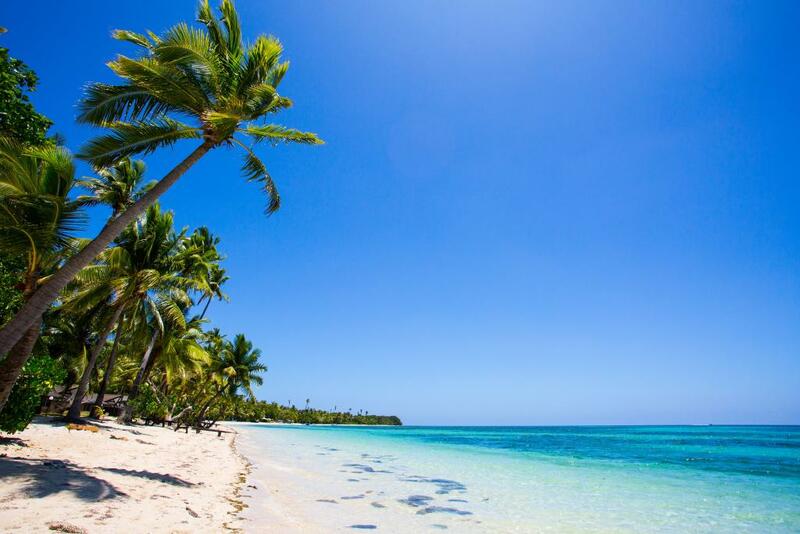 Fiji offers amazing dive sites in warm waters where beautiful soft corals and colourful sea life can be seen. 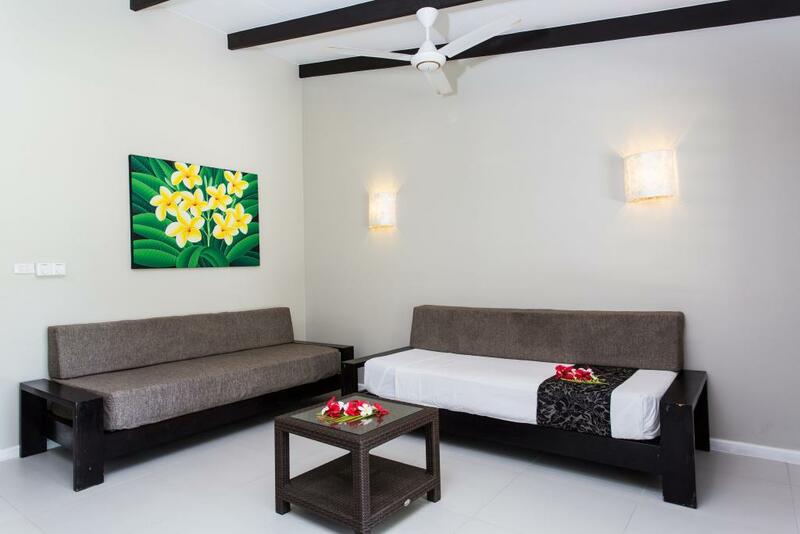 Massage and Salon: Rejuvenate and be pampered at Plantation Island Resort with a full body combination massage, or relax in the Hair Salon with one of the many treatments available. From a standard hair cut to colouring, streaking and straightening services, as well as manicures and pedicures, the day spa therapists can help you look your best for the beach, dinner or your wedding. Whilst relaxing at Plantation Island Resort, enjoy a few rounds of golf on the picturesque 9 -hole course. 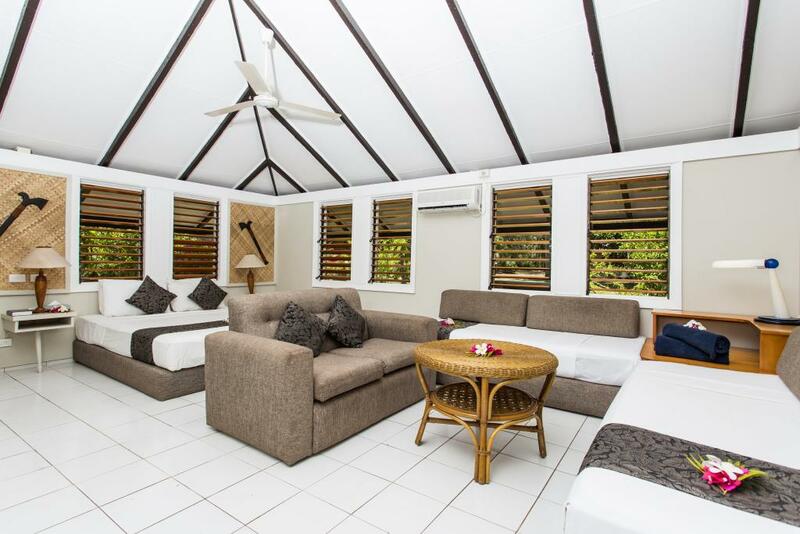 Designed and built by the winner of the Nadi Open 1996, Ananda Madhwan, you can relax at the clubhouse, then tee off with over 2000 yards of tropical course at your disposal. 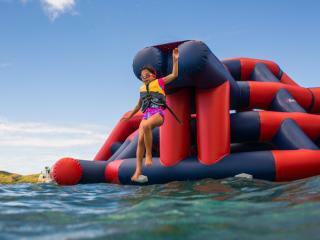 Plantation Island Resort is a haven for kids with a full range of activities that are sure to entertain all ages. 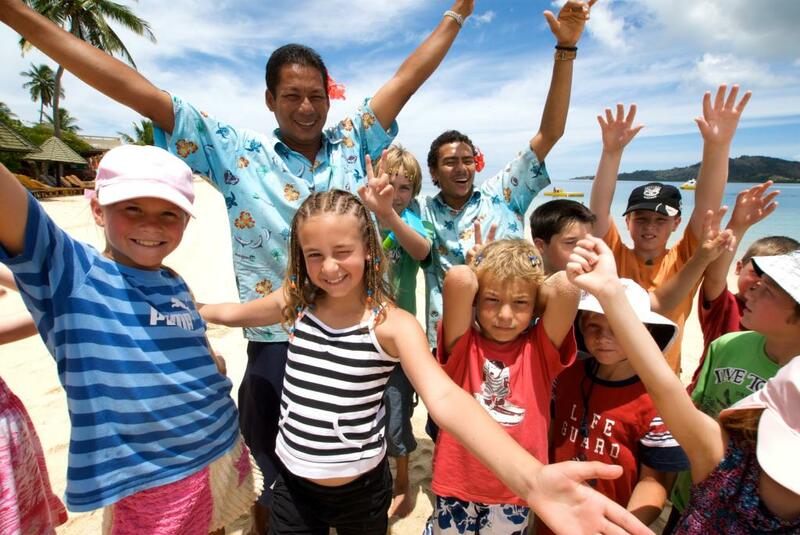 Kids can join the "Coconut Club" for free and will receive a free t-shirt they can decorate. 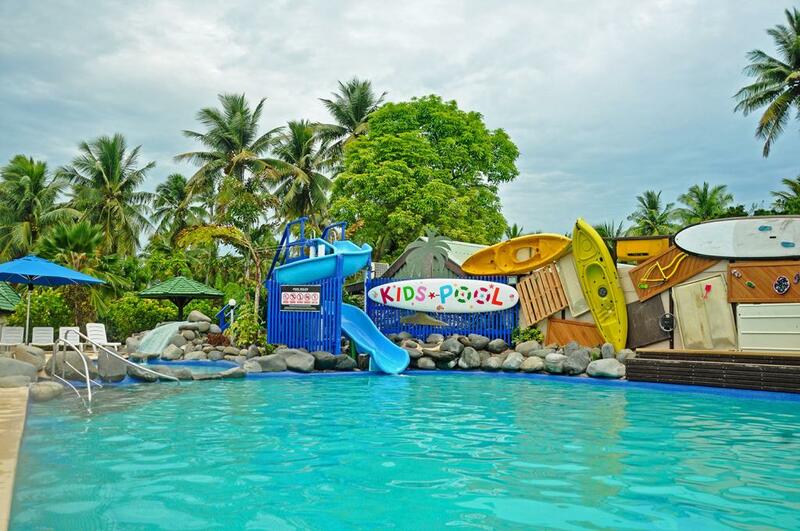 Activities children can enjoy at the kids club include a jumping castle, treasure hunt, longboat ride, fish feeding, canoe races, crab hunting and beach games to name a few. 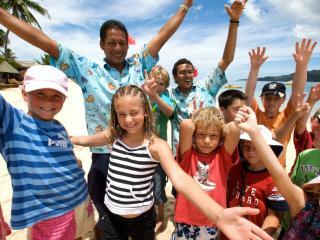 Coconut Kids Club is for kids 4-12 years. Additional nanny and child minding services are available with reception and fees apply. Lairo Club: Available for the older children 13 - 16 years and offers a range of enjoyable activities including cooking lessons, beach soccer, mini golf, touch rugby, pool volleyball and much more. The Lairo Club is also a fantastic place to meet new friends. Your wedding is a once in a lifetime occasion. 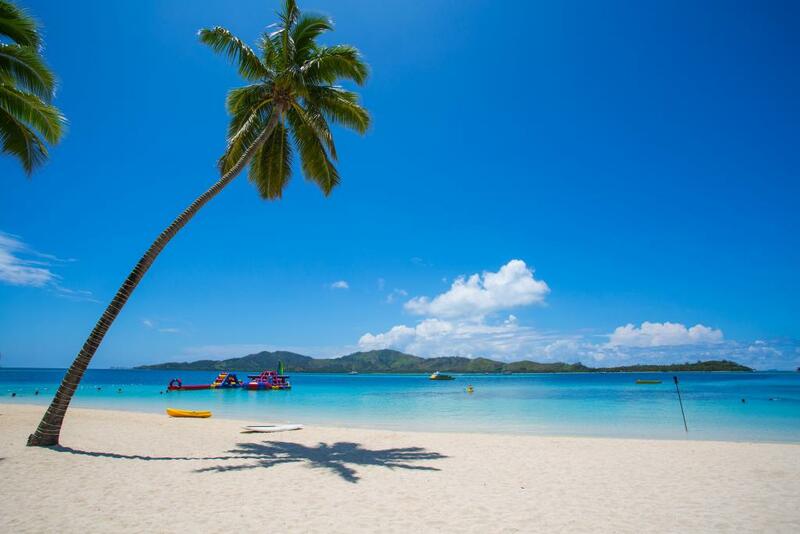 Plantation Island Resort offers a variety of locations and arrangements. Children: 0-12 years sharing a room with adults are free of charge in existing bedding.